Here you will find my public appearances dates along with your photos or mine. This site inspired by the 5000 years’ Stonehenge in England is beautiful day or night! Saturday August the 08th at 8:30PM. 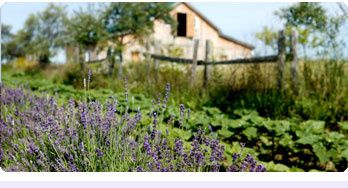 Come and meet us at this cool little place in North Hatley. D’autres l’ont dit ou le diront, les plus grands spectacles sont souvent dans les petites salles. Hier, à la Caravane, nous avons passé une agréable soirée en votre compagnie et je vous remercie de votre simplicité, générosité et surtout, de nous avoir permis d’apprécier votre talent remarquable. L’harmonie parfaite entre la voix cristalline et puissante de Mme Cardinal et la virtuosité de l’excellent accordéoniste que vous êtes, furent la recette infaillible de cette belle soirée. Les compositions de Mme Cardinal m’ont particulièrement émerveillé par leur profondeur et leur vérité. A Mark Violette show with Ruth Ann Fletcher. It was a delight for Hélène Cardinal and I to participate at this Benefit for the Haskell Opera House in Stanstead. I had the opportunity to play for the first time in the United States! This is the place where the Canadian USA border crosses the Hall. The stage being in Canada, I had to step down to the crowd of spectators to cross the Frontier and play on the USA side. An exceptional performance was given by Mark Violette at the piano and the comedian/singer Ruth Ann Fletcher. During the show, Mark Violette had his hair completely cut off while at the grand finale, for the last tune, I came on stage with my hair completely undone. 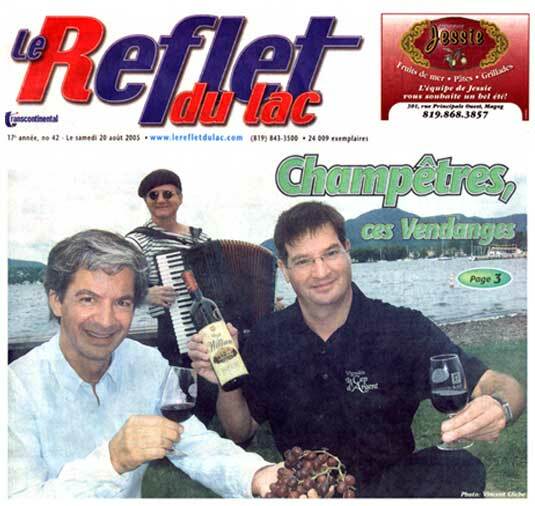 Danny St-Pierre et Anik Beaudoin, propriétaires du Restaurant Auguste et Sébastien Jacques de la Boucherie Clément Jacques vous invitent à une grande fête au profit de La Tablée des Chefs afin de supporter la formation culinaire des jeunes du Centre Jeunesse de l’Estrie. 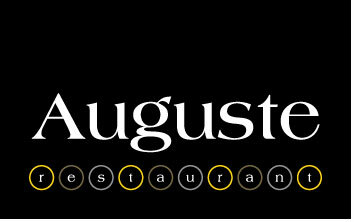 Billets disponibles chez Auguste, à la Boucherie Clément Jacques et à La Tablée des Chefs. 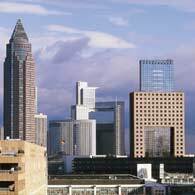 A unique event will take place on October the 2nd to 5th 2008, called Art and the Automobile. 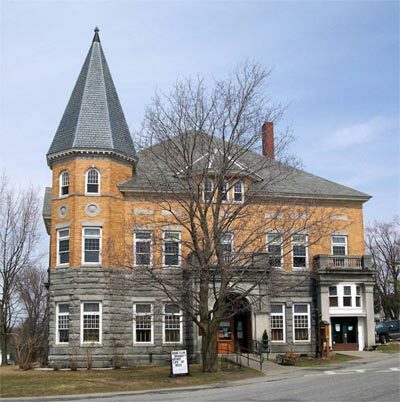 It is a weekend where art, photography and automobile design will be the foci amidst the beauty of the Eastern Townships and a sizable collection of collector automobiles, including a number of Deutschman designs. Paul Deutschman is to be an Honoree at the event. 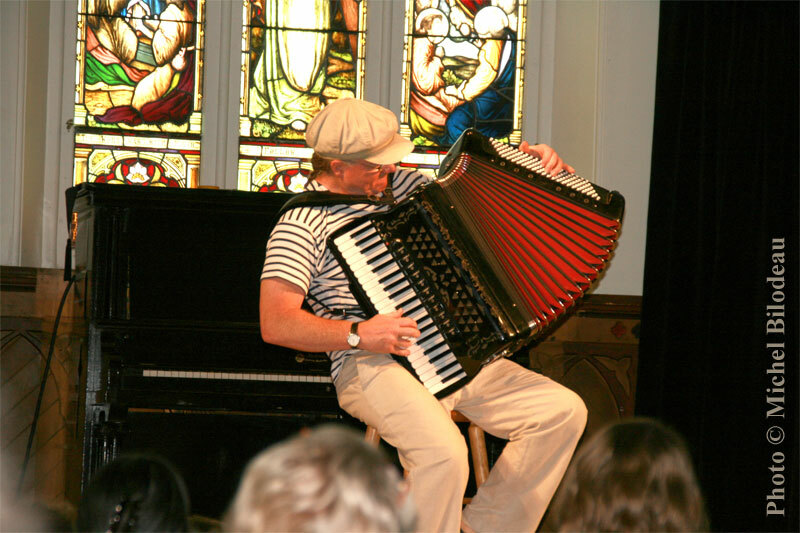 Sunday concerts at l’Église St-François-Xavier in Bromont. 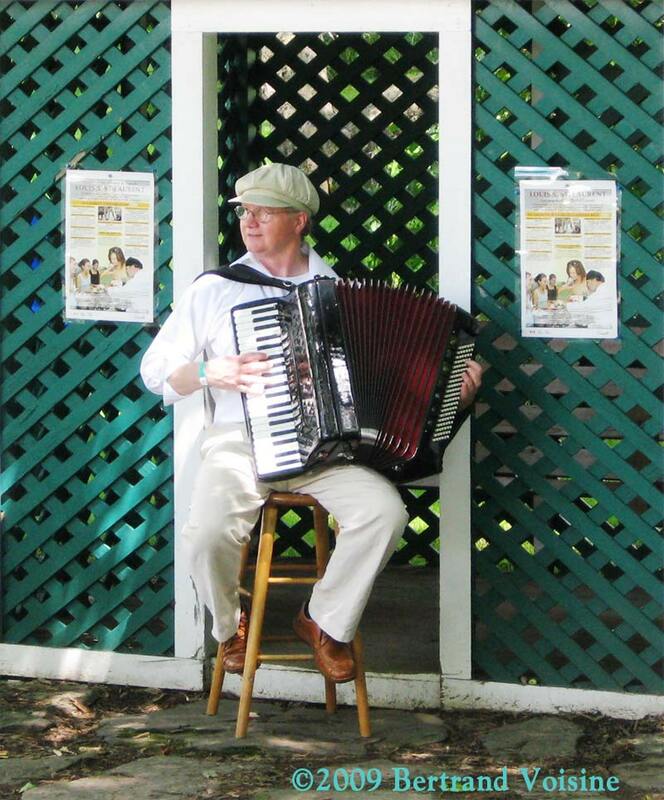 Played accordion at LA FÊTE DU CHOCOLAT in Bromont, Quebec Saturday May the 17th at 11AM, 1PM and 3PM. at the 19th Carrefour Mondial de l’Accordéon at Montmagny. 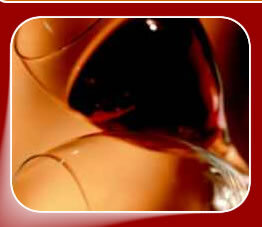 Every Wednesdays, Thursdays and Fridays from 12:30PM to 2PM for July and August. 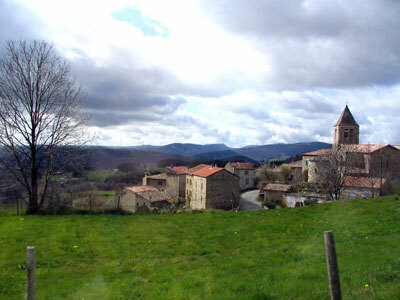 At only ten minutes drive from LE GRAND FRISSON on the same road (247). 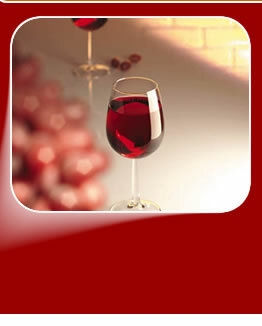 You have time to pass by Bleu Lavande before or after the Guinguette of LE GRAND FRISSON on Sundays! What a day! 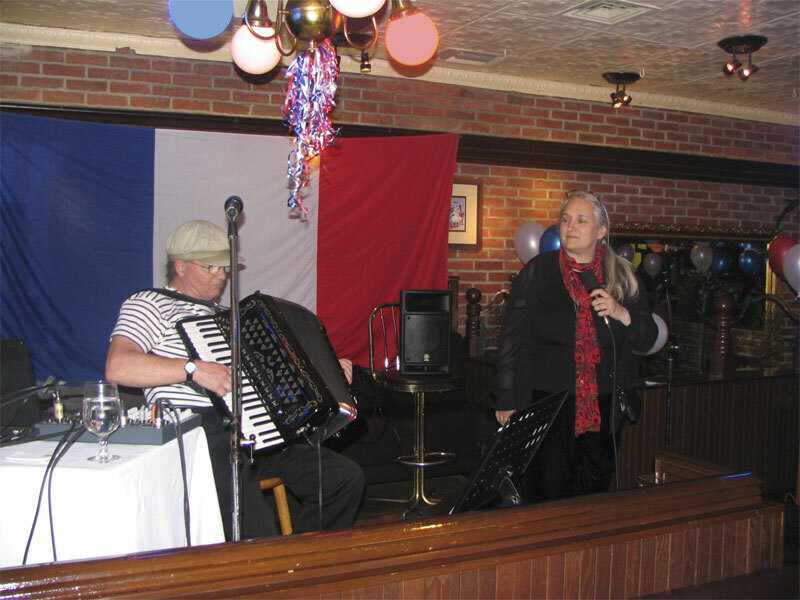 Every Sunday from 1PM till 4PM there is a typical French Parisian guinguette with songs of the musette accordion repertoire and Edith Piaf. 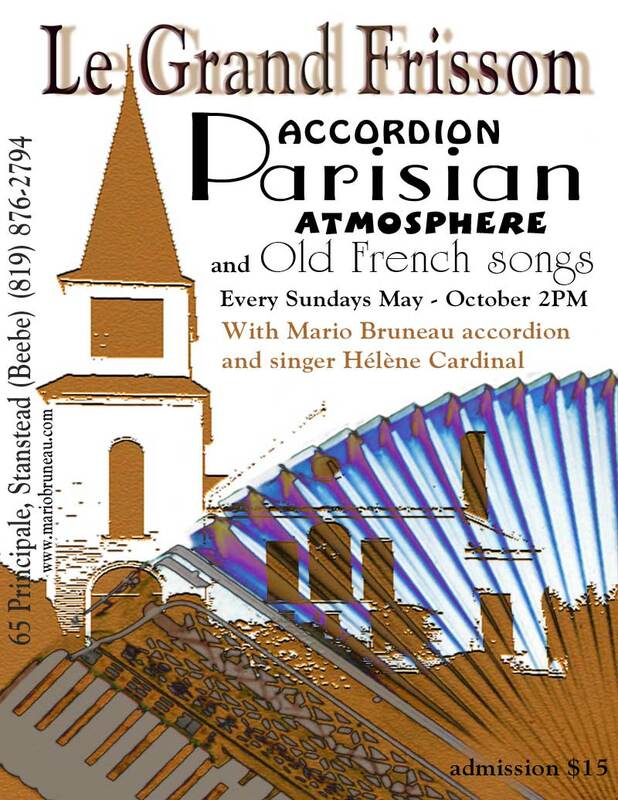 With singer Hélène Cardinal accompanied by Mario Bruneau on the accordion. Mother’s day, at Le Cep D’Argent’s terrace. Sunday May the 13th from 11AM til 3PM. Preparing a Model 178 in Vienna. Fête des vendanges Magog-OrfordPointe Merry in Magog – Exits 115 or 118 of the route 10Hélène Cardinal and Mario BruneauEveryday on the terrace of the SAQ Bistro, Mario Bruneau’s joyfull accordion and the warm voice of Hélène Cardinal creates a “bal musette” ambiance. 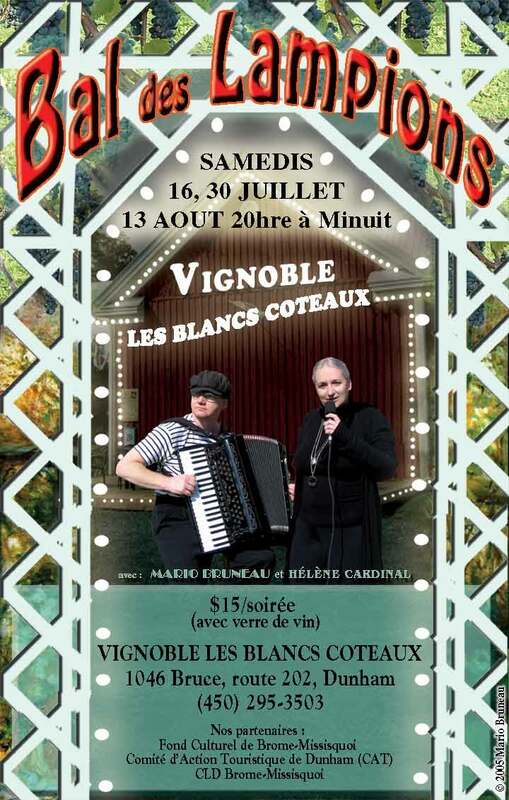 For the SDC of Magog, at the parc des Braves’ carrousel in Downtown Magog August the 11th from 6:00PM till 10:30PM. 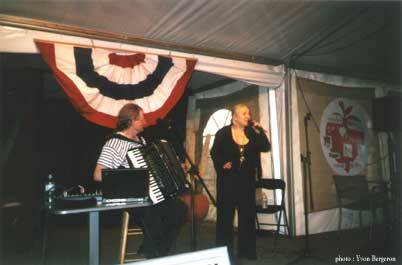 With singer Hélène Cardinal singing old French repertoire in the style of Edith Piaf. 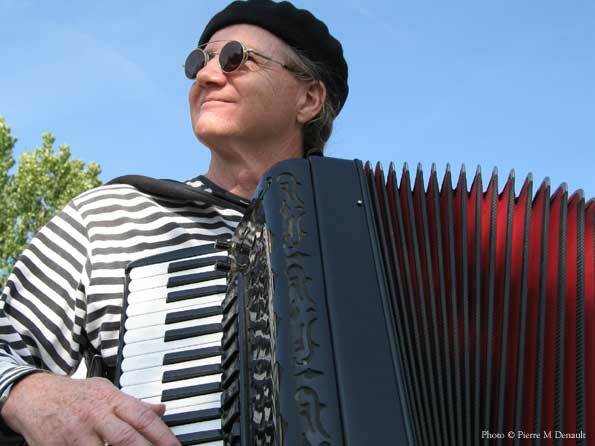 It will be like a Tour de France where some of the greatest musette accordion stars performed. 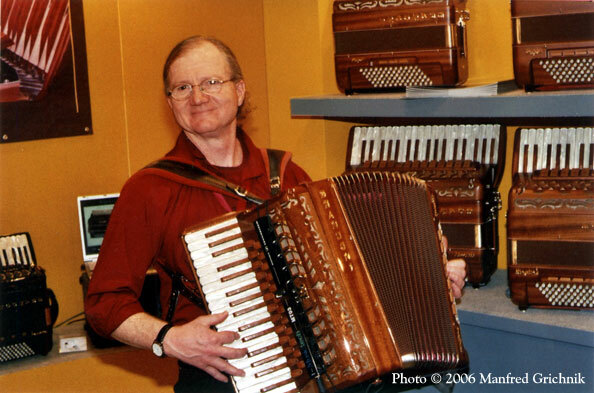 By the way, do you know the link between the bicycle and the accordion? 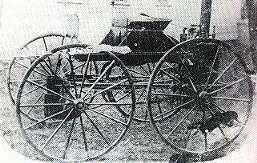 They where both invented early 19th century. An un preceded success!Last Friday July the 14th 2006, Espace Sutton presented a Bal Musette that included two live Paintings. This dancing night gathered 320 people at the main Chalet of the ski station Mont Sutton, the biggest crowd ever for an indoor event in Sutton!The president of Espace Sutton, Jean Marsolais as said to be very pleased by the results of the event. “This year, we decided to present our Live Paintings event in a Bal Musette set up and the date chosen of the 14th of July was obvious since it corresponds to France’s national day and that every since the French revolution, they gather for a gigantic Bal Musette. Our event was so popular that we had to refuse quite a lot of people, the hall wasn’t big enough to accept everybody! 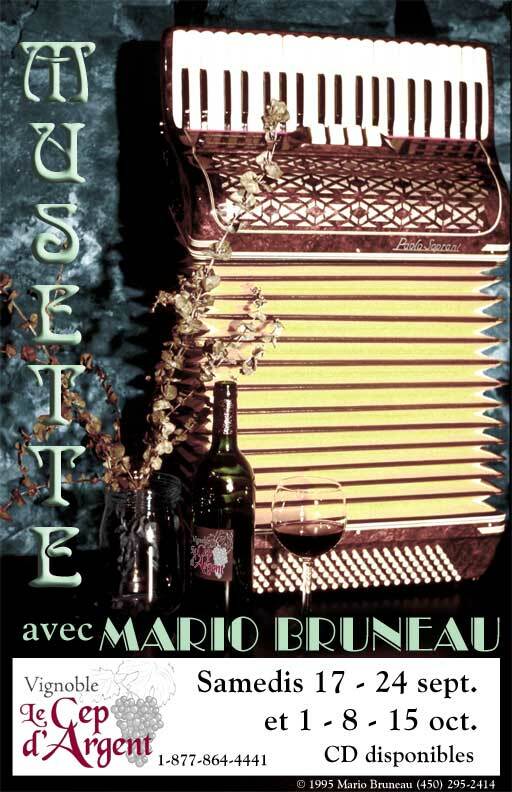 It was a very nice evening with the joyful music of the accordionist Mario Bruneau who gave the opportunity to discover two wonderful paintings, one by Cézanne and the other by Toulouse-Lautrec” did he explained. The comedian Robert Toupin (left picture) gave an humorous presentation of the paintings with text written by Richard Leclerc. “We thanks every one who where present and also thanks to our partners and the volounteers who participated at the success of this event. 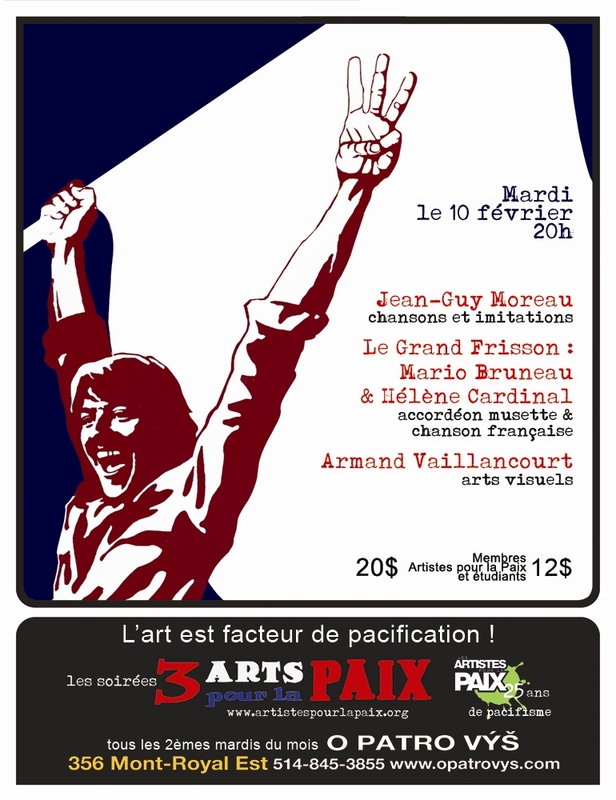 We will do it again next year” the president Jean Marsolais added. 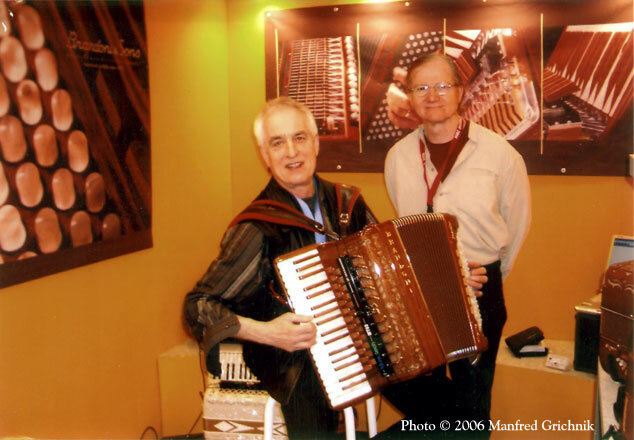 It is following a recent accordion makers tour i n France and Italy in November 2005 that M. Giampaolo Bompezzo from the Brandoni-Bompezzo accordion maker, (the peoples who built my own accordion) hired me to represent them in their kiosk at the Frankfurt MusikMesse in Germany. 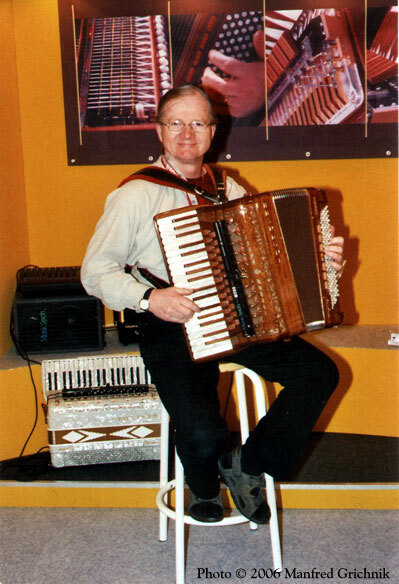 So from March the 27th till April the 2nd 2006 I spent a wonderful week playing the Brandoni accordions while visiting some other exhibitors. I had big success with my AcidJazz originals. 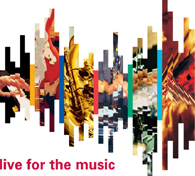 From those compositions, a CD called Accordéon NoW! will soon be available. Here is an excerpt from the title Reed My Lips. 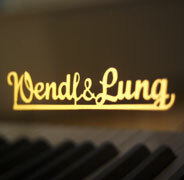 At the Frankfurt MusikMesse, I also discovered the fabulous Viennese piano Wendl & Lung. 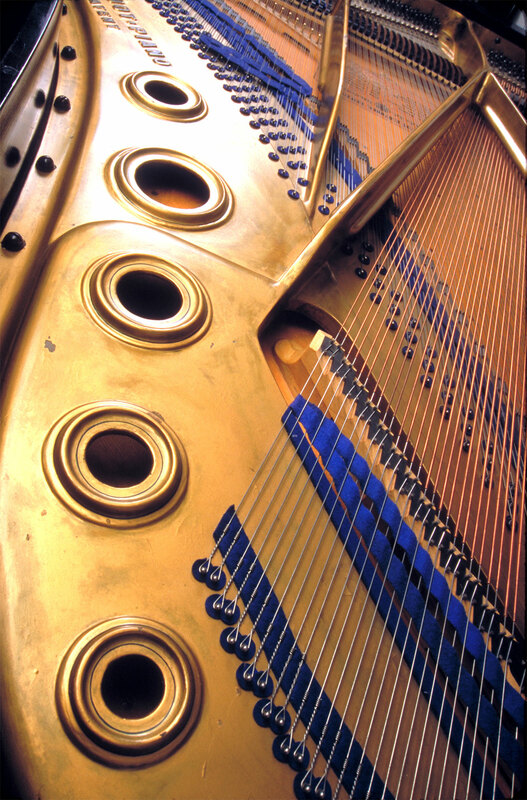 These pianos are really fantastic and at an affordable price too. 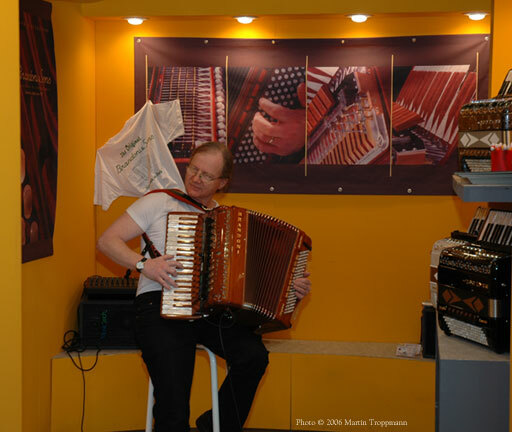 I took the opportunity to present my Accordion MultiMedia Conference to people passing by. I tried some rather original German percussions instruments. Schlagwerk Percussion. Their congas (Cajongas) are completely made out of wood, even the skin is wood! Take a look at a YouTube video showing me having fun. These instruments sound so nice and effortless to play, you get to concentrate on your music rather than on the technique. If you like to groove, the Schlagwerk percussion instruments are for you! 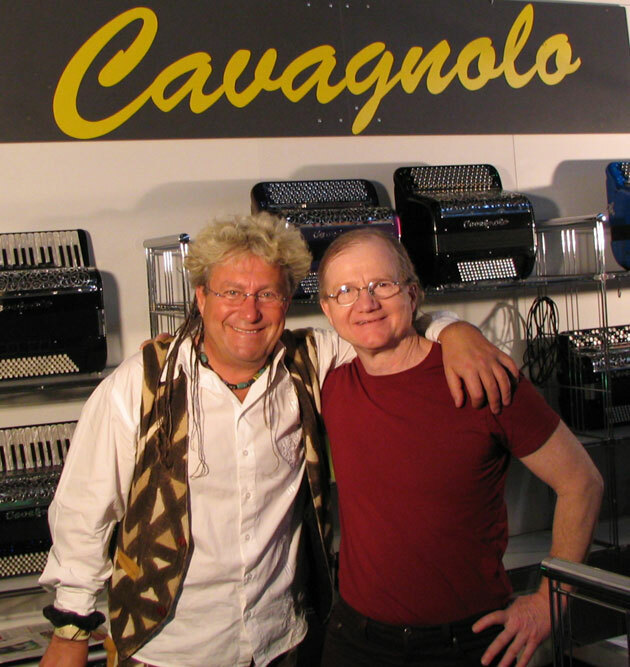 With my dear friend Jean-Louis Noton at the Frankfurt MusikMesse. 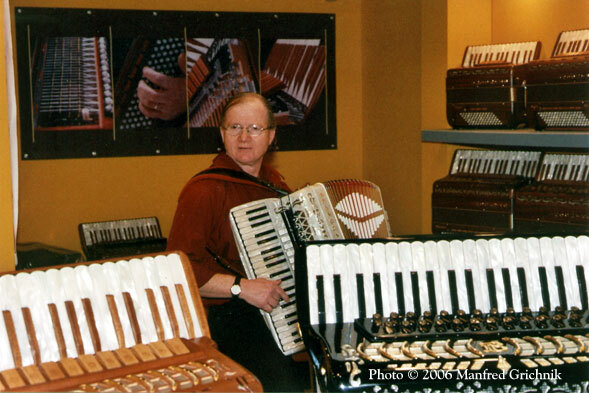 Jean-Louis Noton is Cavagnolo accordion’s product specialist. 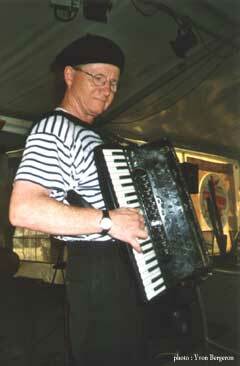 Great squeezebox player too! 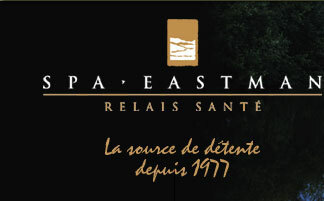 At Les Jardins Champêtres de Magog : Lots of Christmas parties for December 2005 (also 2006), would be glad to meet you. Cabaret for the Mayer’s téléthon in Chartres. 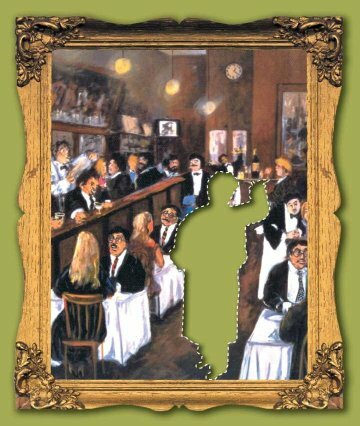 Les 3 – 4 et 10 septembre 2005 de 13:00 à 18:00hres : formule Bistro sous le chapiteau avec Hélène Cardinal chantant Édith Piaf et autres chansons françaises. Le dimanche 11 septembre 2005 de 13:00 à 18:00hres : je serai ambulant sur le site avec mon accordéon. Venez fêter la générosité de la nature en dégustant un bon vin de chez-nous au son de l’accordéon musette. 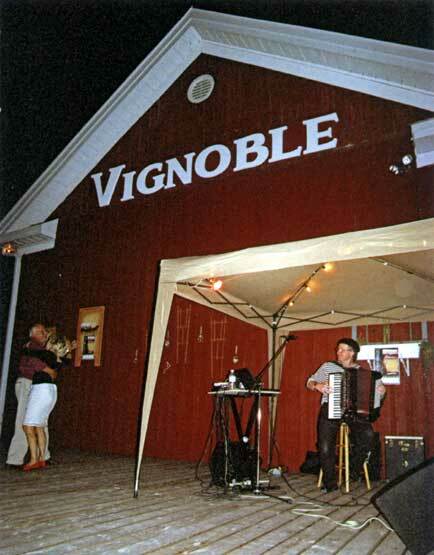 Musette Accordion at Le Cep D’Argent winery. Concert-dinners at 7:00PM as DUO with singer Hélène Cardinal October 15th, February 14th 2005 (Valentine’s day) and May the 14th 2006 for mother’s day brunch. Reservation mandatory. 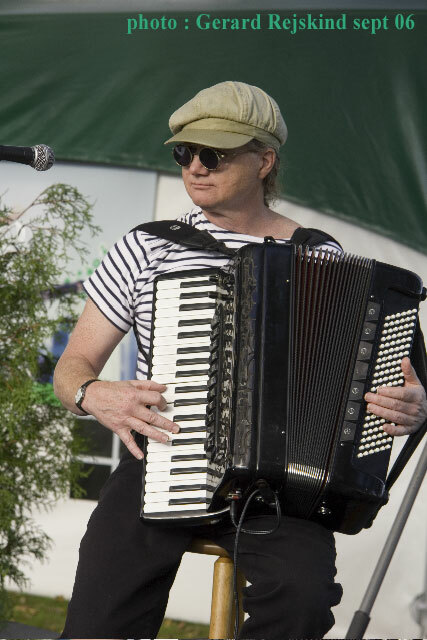 Musette accordion on the grass. Du 1er au 9 juillet 2005 Mario Bruneau, accordéoniste d’expérience et de talent, a fait du bal musette sa spécialité et de l’accordéon sa passion. Il nous fera découvrir avec bonheur l’infinie richesse de son instrument. 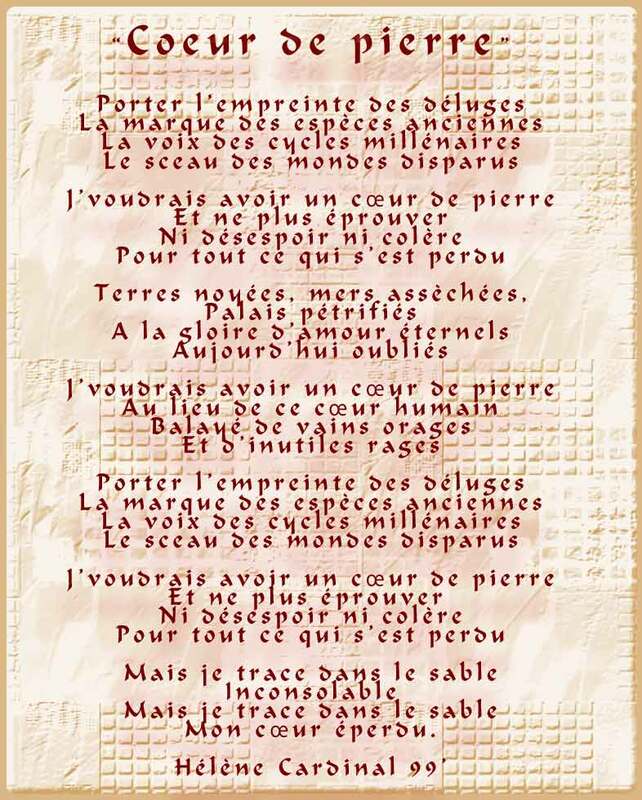 Impossible de rester insensible aux notes et aux chansons de son répertoire, évoquant toute la joie de la fête.